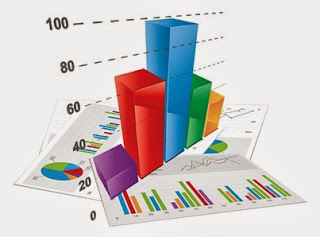 Mynda Treacy's excellent Excel Dashboards online course is once again open for registration and once again there is an excellent offer for those of you who don't hang about - more about that later in this post. Back in July, Mynda wrote a guest post for me on the subject of Excel Dashboards, which you can read here. This is becoming a very important skill and is often now required by employers. Mynda's post is a really good introduction and if, for whatever reason, you do not take up the offer on the training course, I would recommend that you at least read Mynda's guest post. To celebrate the re-opening of Mynda's course, I have arranged to offer her eBook, 30 Chants for Better Charts, absolutely free to subscribers. Many of us use charts regularly in our work, but few of us do it well, and Mynda's eBook provides some excellent tips on how best to format charts so that they look professional and convey the information that they are supposed to, clearly. If you're not already a subscriber to Not Just Numbers, simply enter your name and email address in the box at the top right of the blog and you will receive Mynda's eBook, as well as other freebies, and updates on new posts to the blog. The Excel Dashboards course is video based and available online 24/7. It comes with comprehensive Excel workbooks and several sample dashboards to keep. There’s also an option to download the videos, plus Mynda personally provides support for the first 6 weeks of the 12 month membership. Dashboards are an incredibly valuable tool in today's market for consultants, analysts and managers, but Excel doesn't make it straightforward to build highly professional and interactive dashboards. That's why this type of training is crucial. The previous classes have been a huge hit with many people saying how they love the cool techniques and how they've been able to impress their colleagues and clients by using them in all sorts of reports, not just dashboards. I highly recommend the course but don't take my word for it. You can read comments from past students and find out more here. If you join the class by 24th October you can get it for 20% off plus I'll include my Introduction to Pivot Tables course absolutely free, just email me your receipt and I'll send you my bonus. So, do yourself a favour and check out the course . The price is incredibly fair, the course is awesome and it'll transform your Excel reports and possibly even your Excel career. Disclosure: I make a small commission for students who join Mynda's course, but as you know I don't just recommend anything and everything. It has to be of outstanding quality and value, and something I can genuinely recommend. After all, if doesn't live up to what I've promised you'll think poorly of me too and I don't want that. Oh, and just watching the course videos won't transform your career, you have to actually put it into practice, but then you know that. I am Shivane Kay, member of a Microsoft Excel Training . I had landed on your website “http://www.notjustnumbers.co.uk" and found the articles really worth reading. The quality of your content is so good, that it made me request you something. I love to write Microsoft Excel Training articles and would like to contribute something for your website. I can give you an original guest post and if you want, you can suggest me the topic also and I will write accordingly. Not only that, I will also give you all the rights to edit the article and modify it as per your need. I do sometimes accept guest posts if they are of a high quality (like this one from Mynda). If you could email me some examples of other posts you have done, that would help.